This month's YA Diversity Book Club selection is filled with magic and mythology. 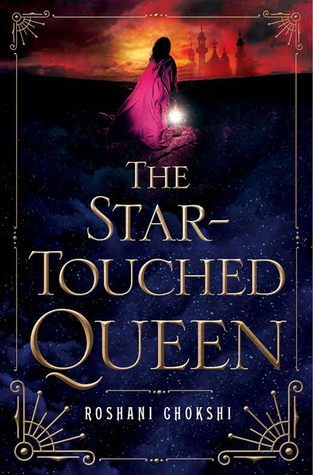 THE STAR-TOUCHED QUEEN by Roshani Chokshi is about a young woman whisked to a mysterious kingdom, where she might fall in love, discover incredible power latent inside herself, and change people's fates... or she could lose everything and everyone she has ever cared about. As you can imagine, this was rich ground for our group discussion. 1. What were your first impressions of The Star-Touched Queen? We Heart YA: I’ve read tons of stories derived from Greek myths, but none like this. I really enjoyed the fusion with Indian culture. The Reading Date: Magical, poetic, unique. And on a shallow note the cover is to die for! Teen Lit Rocks: Incredibly original with beautiful lyrical language and interesting take on Indian folklore and Greek mythology. 2. What first appealed to you about the story -- the Indian folklore, the mythology, the setting, the romance? And how did the story line up with expectations? The Reading Date: I don’t love Greek mythology-based YA generally, but what really got my attention is the Indian folklore spin. The story lined up with expectations and the prose was mesmerizing. Teen Lit Rocks: I think what captivated me at first was that I couldn't remember reading anything else like it. It wasn't straightforward; it took effort to read, and I liked that I had to work at it (particularly visualizing some of the more fantastical elements) if that makes sense. We Heart YA: To be honest, I didn’t know much about the book going in. I was just familiar with Chokshi through social media and one of her short stories, so I was excited to read a YA novel by her. 3. The author has stated that Maya and Amar were inspired by Hades/Persephone. Were you familiar with those mythical characters and how did that influence your reading experience? We Heart YA: Yes, the story of Hades and Persephone was one of my favorites as a kid, so I am definitely familiar with them and got that vibe from Maya and Amar pretty quickly. But again, I liked how this wasn’t a straight retelling, and the Indian influence really took the characters in unexpected directions. The Reading Date: That is cool that you picked up on Hades/Persephone right away. I did not get it until I read an author Q&A, so I guess you can enjoy the book on different levels depending on your Greek mythology knowledge. Teen Lit Rocks: I definitely picked up on the Hades/Persephone references (which are hot right now, especially if you're familiar with Sarah Maas), but it was the Indian folklore that I found fascinating, as I'm only passingly familiar. We Heart YA: Yeah, and I’d love to learn even more about the source material for the Indian folklore. I think it would give me an even greater appreciation for the way Chokshi “remixed” it. 4. Any characters or scenes particularly stand out to you in a good or bad way? 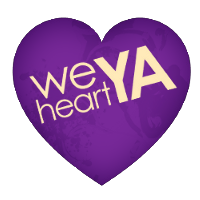 We Heart YA: Well, I ended up really liking Kamala, hahaha! The Reading Date: Haha yes Kamala was a surprise! Such a fun sidekick. We Heart YA: I also thought it was really interesting -- and nice -- that a couple of the key relationships were more about sisterhood and friendship. 5. Were any particular passages or bits of dialogue meaningful to you? We Heart YA: To be honest, the writing was SO rich, that most of it didn’t get the chance to stand out… The single most vivid image in my mind is probably Maya’s memory tree, the first time we see it. I loved that. The Reading Date: The memory tree is a good one. And I can see what you mean about the lush writing. Teen Lit Rocks: Yes, the memory tree part was so vivid. I also enjoyed the first time she enters the kingdom. In addition to Persephone and Hades, it felt a bit like Beauty & The Beast. The Reading Date: The writing was so dreamy and descriptive that I would just get lost in it. I didn’t note any particular passages though appreciated the style. Teen Lit Rocks: It has been a while since I read it, but I found some of the descriptions of love and desire really compelling and beautiful -- not the typical "insert steamy scene here" type of romance. 6. What did you think of the world building and time jumps? Was it easy to keep track of it all? We Heart YA: I thought the time jump was fine, and I’m a fan of reincarnation as a concept, so I liked the idea of the memory trees and past lives. But I wasn’t always clear on what was real versus what was an illusion, nor on how exactly the magic of this story worked. The Reading Date: Yes, exactly, it was hard to keep track of reality. I didn’t always manage to, but I enjoyed the ride anyway. Teen Lit Rocks: That's what I meant earlier when I said I had to work harder than usual. I'm a fast reader, but this wasn't a book where I could just retain everything with a quick read, so it forced me to slow down and even re-read in places. It's not that the story is necessarily hard to follow, just that it's so lushly written you can get carried away by the poetic language and lose track of the plot threads. 7. Did this novel broaden your perspective in some way? Teen Lit Rocks: I'm really curious about other YA books that have been inspired by Indian folklore. Most Indian-themed books I've read are about contemporary India or Indian-American families, not the folklore or mythology. I'd be interested to read more. We Heart YA: Yes, it piqued my curiosity too. Why did we only learn about Greek mythology in school? Do they teach other cultures’ mythology now too?? more diverse fantasy or mythology? We Heart YA: OK this isn’t really diverse mythology (I’ll think on that in a sec) but if readers like this, then I HIGHLY recommend The Night Circus by Erin Morgenstern. I mean, I recommend that book anyway, lol, but some of Maya’s explorations of Akaran -- the mirror rooms and dream worlds -- reminded me of all the different magical tents in Morgenstern’s circus. The Reading Date: I’ve been meaning to check out The Night Circus! We Heart YA: When I was poking around Chokshi’s website, she mentioned it was one of her fave books! So it makes even more sense that I would think of it. The Reading Date: I don’t read a lot of fantasy but I was thinking maybe TSTQ would appeal to fans of Daughter of Smoke and Bone. 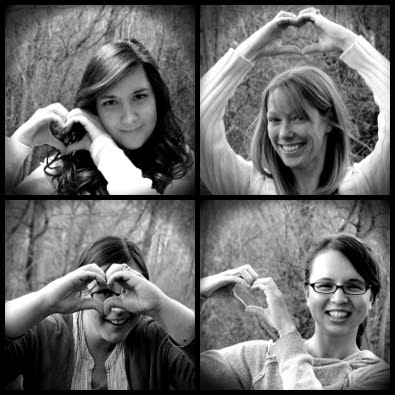 We Heart YA: LOL that’s another one she mentions as a fave! Teen Lit Rocks: Yes to all this. Having just read CARAVAL by Stephanie Garber, I also recommend that when it comes out (and I believe the authors are friends and fellow debut year "classmates"). And I'd also recommend THE WRATH AND THE DAWN for loose retellings and stories about betrothals that don't go as you expect them to (plus there's also stories within stories in that)! We Heart YA: Oh, it’s not YA or fiction, but fans of this book might also enjoy The Woman Warrior by Maxine Hong Kingston. The writing style is similarly poetic and dense, and it explores the author’s life and Chinese heritage, woven with mythology and family lore. Teen Lit Rocks: I haven't read that book since high school (and I'm way older than you), but yes, I agree! 9. Do you picture TSTQ translating well to film? Who would you cast in the lead roles? We Heart YA: Yes, I think it could be a really stunning, lush film -- along the lines of What Dreams May Come, or the new Alice in Wonderland series. Very fantastical and visually impressive. Teen Lit Rocks: To be honest, not really, because it would have to be an expensive movie filled with CGI effects and huge set pieces. It's so atmospheric you couldn't just phone it in. We Heart YA: Very true. No idea who I would cast… Unfortunately I am not well versed in Indian actors, but I’m sure there are plenty of talented young Indian Americans, or Bollywood stars looking to break into this market! Teen Lit Rocks: I pictured a younger Parminder Nagra, but that's probably because I think she was so plucky and could be so fierce in a way that belied her gentle looks. Teen Lit Rocks: Thanks for the tip, Kristan! I haven't read anything else by her but know she's a favorite debut author by several writers I know through We Need Diverse Books. I look forward to her next book. The entire YA Diversity Book Club archives can now be found on Tumblr. Next month we're celebrating our book club's 2-year anniversary!